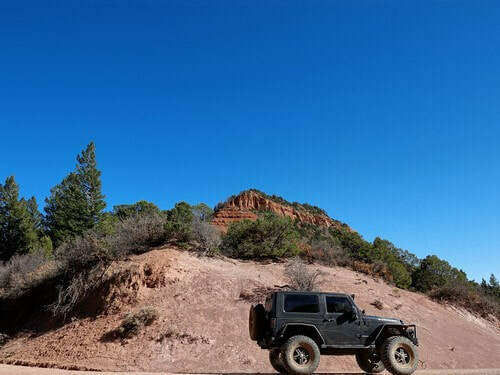 Drive between the Bear's Ears of Bear's Ears National Monument. 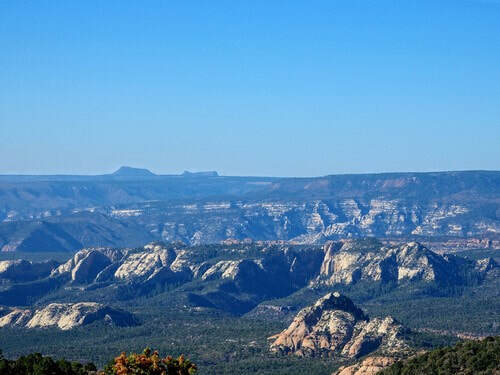 You probably have heard of Bear's Ears National Monument. 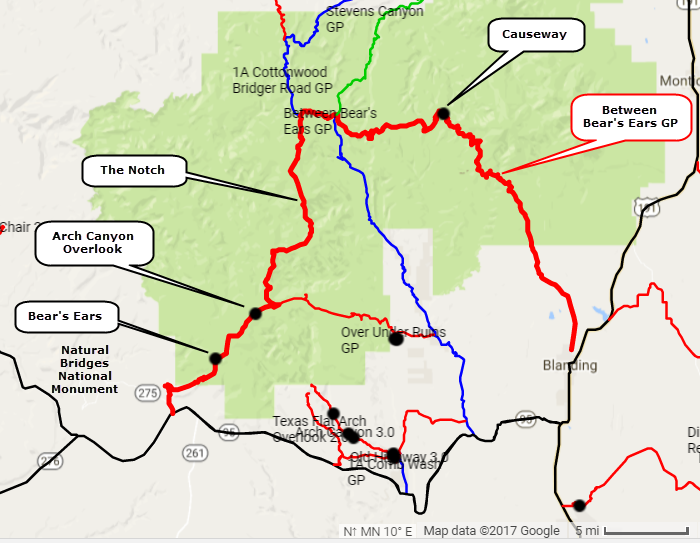 Here is your chance to drive between the "Bear's Ears". 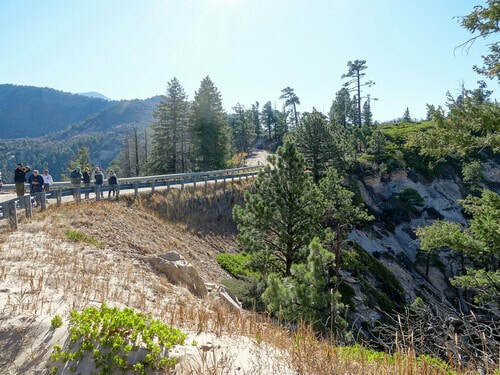 This trail starts in Blanding then follows a graded road through the National Forest at 8,500' elevation. 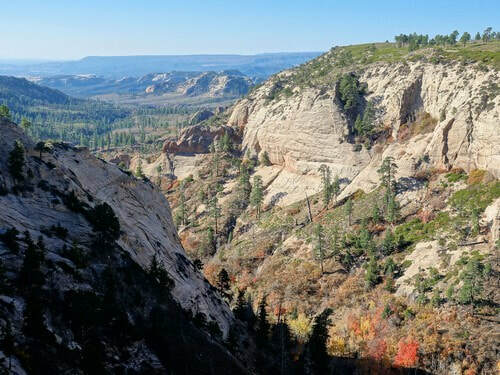 It passes the Causeway, the Notch and an overlook of Arch Canyon before going between the Bear's Ears. 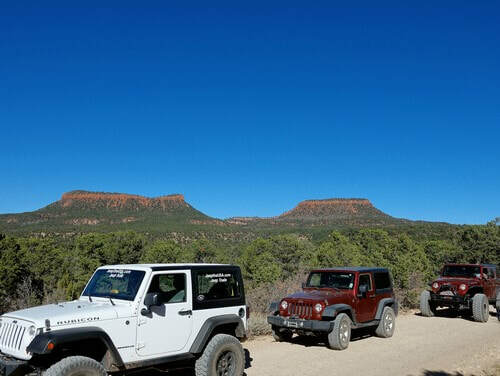 Finish up at the access road for Natural Bridges National Monument. There is a fairly long stretch of shelf road in the first portion of the run. Nice views of Bear's Ears in the distance. The Causeway is a natural hogsback ridge that separates the drainages of the Colorado River to the north from the San Juan River to the south. The Causeway itself is a narrow saddle with steep drops in either side. The San Juan side of the Causeway has an impressive canyon. Continuing on the trail takes you to a nice view from The Notch, a dip in the road between two mountains. 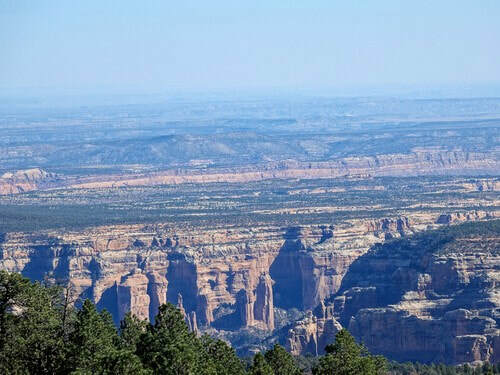 Shortly before reaching Bear's Ears there is an overlook with a distant view of Arch Canyon. ​The road passes over a low saddle between the ears. Both are easily visible from this spot. 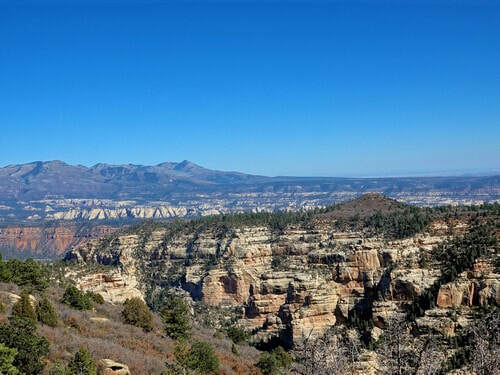 This trail ends on the access road for Natural Bridges National Monument. A visit is suggested.